Should I be screening against both the TPS and CTPS? News - TPS, CTPS or both? That’s the question. Should you screen against the TPS and the CTPS? The confusing thing about Sole Traders and Partnerships is that most of us would see those as businesses and expect them to be on the CTPS, but the law sees them as individuals, hence why they are included on the TPS rather than the CTPS. Registrations on the TPS don’t expire or require any kind of renewal. A key difference in the CTPS and TPS is that the CTPS requires annual re-registration. This means that numbers do in fact fall off the CTPS through non-renewal. 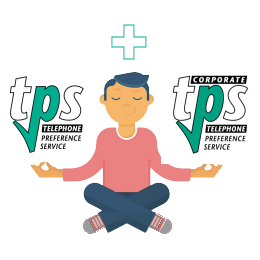 The fact that numbers on the CTPS expire and require renewal may be important as it is often the case that many businesses don’t know that their number is registered on the CTPS due to the fact that one employee has taken it upon themselves to register the business when, perhaps, many other employees within the same business neither object to receiving sales calls or are even aware that the business has been registered. Do I need to screen against both the TPS and CTPS? If you’re calling consumers and you believe that your data contains only consumers, then you need only screen against the TPS. If you’re calling Limited and Plc businesses only then you need only screen against the CTPS. If, on the other hand, you’re calling businesses and you’re not certain that all the businesses you’re targeting are either Limited or Plc businesses, then you would need to screen against both lists. For example, stationary companies would be targeting all businesses and would need to screen against both the TPS and CTS registers, but a business offering solutions to assist companies with filing accounts at Companies House would logically only be targeting Limited and Plc businesses and could logically therefore screen their data against the CTPS only provided they knew the data they were calling was only Limited and Plc businesses. Some people submit their telephone numbers on the wrong register – this is not your fault, but it can cause the odd grumble. Some companies prefer a “belt and braces” approach covering all possible angles and scrub against both lists to be “safer than sorry”. Companies that have had the odd TPS/CTPS complaint might prefer to be extra careful. Companies concerned about their public image might prefer to screen against both lists in order to prevent any TPS related problems at all. For those who still use faxes to communicate, the FPS is a similar service to both the TPS and CTPS, but for fax numbers. If someone uses a combination phone/fax machine and wishes to neither receive sales and marketing calls nor sales and marketing faxes, then they should register their number on both registers. The FPS does not have a separate register for consumers, sole traders and partnerships away from Limited or Plc businesses. It’s just a single register. Although the FPS is predominantly made up of businesses, once you’ve registered on the FPS, there is no need to re-register each year like the CTPS. To be honest, if you want to go the whole hog and make sure you're definitely not hitting numbers on the TPS or CTPS with a view to avoiding any possibility of a complaint, I’d screen against both registers. That said, under the right circumstances you’re not legally obligated to do so and not doing so could open up your database for more calls. It’s a decision you have to make weighing up what you have to do legally against what you could do. The unfortunate thing is though that the Information Commissioners Office (ICO) are not exactly business friendly, more so if they take a dislike to you or your business. Some businesses we've spoken to over the years have likened the ICO to a small town sheriff in an American state whereby they act as judge, jury and executioner! That seems to be a common thread amongst UK businesses.